Everyone knows what is the Image the Pakistanis Politicians in Public of Pakistan. Pakistani Public considers their top politicians Corrupt, Thieves and Puppets of United States. But If Any Institution has respect in hearts of Pakistani Public that is Pakistan Army and ISI. People of Pakistan feels proud about their Arm Forces. 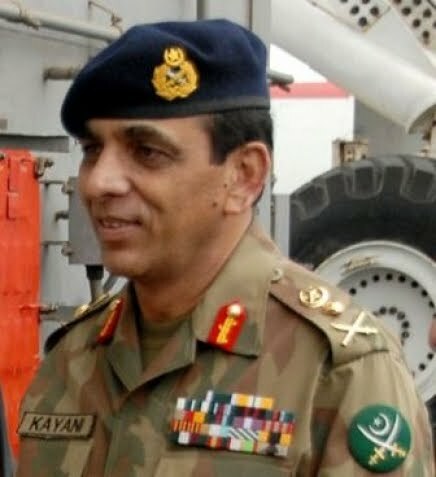 Several Acts of Former Military Dictators Pervez Musharraf like Lal Masjid Operation badly damaged the Image of Pakistan Army but Present Army Chief General Kayani was successfully able to recover the damaged caused in Musharraf rule. However some recent Incidents are once again effecting the Image of Pakistan Army Forces and Its Intelligence Agency ISI. Earlier this week CIA Agent Raymond Davis who killed two Pakistanis in Lahore was released by Pakistani Government and everyone knows that it was not possible until Pakistan Army allows it. Silence on Drone Attacks By Pakistan Army is also creating Questions in minds of Pakistani people. On Thursday 40 Innocent Pakistanis where killed in a US Drone Strike in North Waziristan. After drone attack Army Chief Kayani condemned this attack. On the Condemnation of this drone Attack by General Kayani most of the Pakistanis reacted like this on Twitter and Facebook. We have kept one million army just to condemn such attacks? Where are our F-18 and F-18 Jets? So Pakistan Army need to take such steps which can bring them closer to people of Pakistan because no army can win without support of their public. Enemies of Pakistan also wants to create differences between Pakistan Arm Forces and its Public.